New York is a crazy city for me - I got lost more than once, it is too much to see to even try to plan everything properly... but it also has so many little gems hidden away from plain sight. 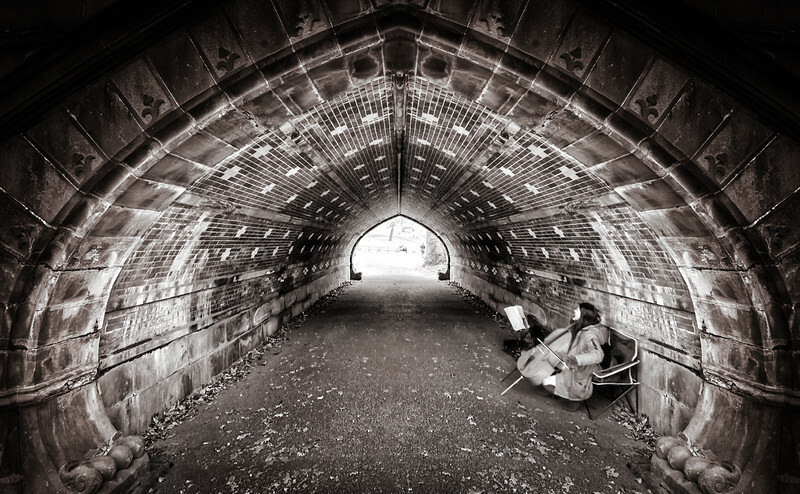 This tunnel here was somewhere in Central Park (if I remember correctly) and I would have completely missed it if the musician would not have played in there. I tend to follow music when I cannot determine where it comes from - for exactly this reason!